Forget Prince Harry’s desire invoke a “mums the word” strategy. Several media outlets are already reporting that ginger-haired bachelor, 32, is dating actress Meghan Markle. The 35-year-old beauty is best known for her role as Rachel Zane in the television legal drama “Suits.” Sources indicate the two met in Toronto, which is where the American actress lives being that is where her TV series is filmed. Prince Harry was there in May to help launch the 2017 Invictus Games. The lovely brunette daughter of an African-American mother and father with Dutch and Irish heritage studied theater at Northwestern University. Friends of Harry say Meghan came along at just the right time, stressing the sought-after bachelor was currently in very relaxed moment in his life. They also stated that the prince desperately wanted to keep the new relationship quiet. While friends suggest the pair are taking things slowly, there is definite chemistry present and the two are enjoying each other’s company, doing things like yoga together. 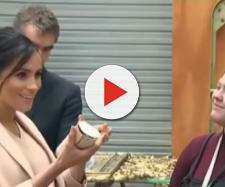 Markle and the handsome British royal seem to share a love for humanitarian work. Markle took a trip last year to Africa to serve as an advocate for UN Women. She also visited a refugee camp in Rwanda. Markle, who was previously married, joins a long line of beautiful women said to have dated Prince Harry. The late Princess Diana introduced both her sons to the importance of outreach when they were very young. As for details about the couple’s relationship, Kensington Palace told “Us Weekly” that they do not comment on private matters. This would certainly not be the first noted transatlantic royal romance to make headlines. Harry’s own long-gone ancestor, King Edward VIII, famously abdicated the throne to wed American divorcee Wallis Simpson decades ago. In 1956, Academy Award winning actress Grace Kelly accepted Monaco’s Prince Rainier’s hand in marriage. Recently, Kelly’s son Prince Albert purchased his mom’s Philadelphia childhood home. The house was built in 1935 by Kelly’s father John Kelly, who was a three-time Olympic gold medal-winner.